It may have been a Sunday, but that didn’t deter the Bus Map Project team from taking some bus maps and heading out for work. Joining forces with the production team of Beirut Mini Maker Faire, we sat down for some map prepping. The aim was to hang up as many maps as possible on buses, from lines 2 and 12. We moved out early, energized and prepared to take the challenge head on. We were met with an amazing, cooperative spirit from the bus drivers. In fact, some drivers came in and helped out! 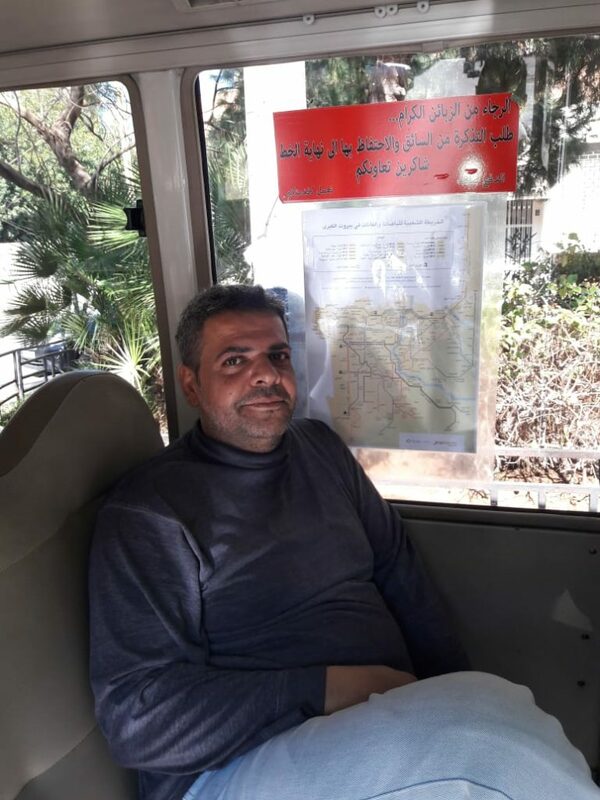 The head (“mas’oul”) of the bus lot even took 16 more maps to distribute amongst the remaining buses. 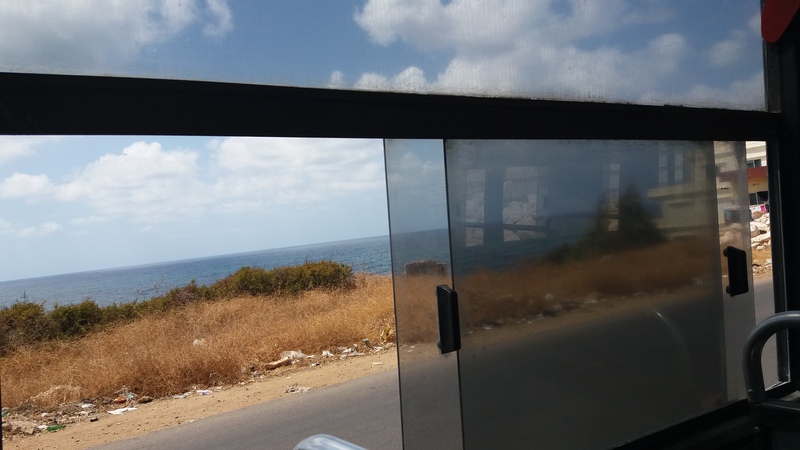 Afterwards, we took Bus Number 12 to Cola, where we took a van heading out to our next destination: Saida! 45mins and a couple of selfies later, the team reached the beautiful city. 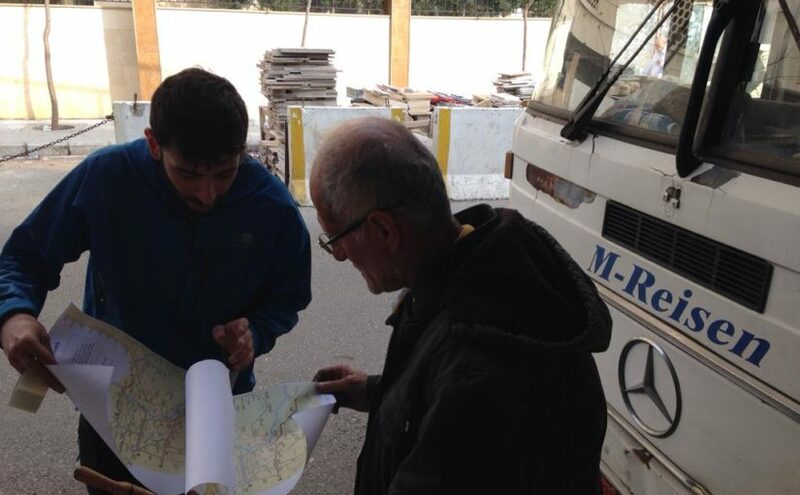 Encouraged by the great weather and welcoming bus drivers, we hung up an additional set of maps in Saida’s main van lot. 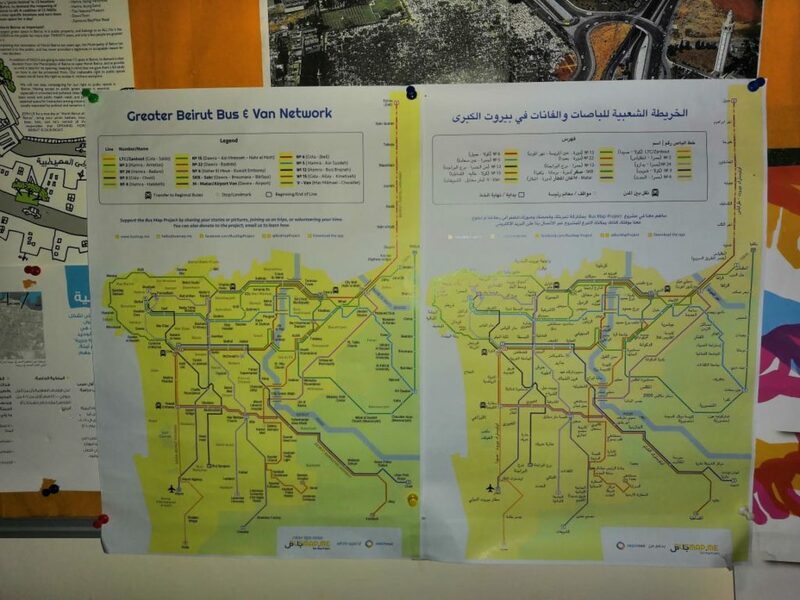 The Saida van lot drivers loved the Greater Beirut Bus Map so much that they inquired about the one for the South. We assured the drivers that the map is a work in progress — we will be working hard on getting it done! With their help, of course! Feeling triumphant, we treated ourselves to some falafel and a boat ride around the islands. After such a successful day, we started heading back to Beirut, dreaming of bigger campaigns. But while on the road, we were surprised my messages from some of the drivers we’d met on line 2 and 12. They were sending us photos of themselves with the map! Each of the drivers had taken a copy and expertly set it up in his vehicle — then posed with it! The drivers also expressed their deep gratitude to the team and congratulated them on such a wonderful effort. This was the biggest pat on the back the team could have received. All in all, Sunday was a day to remember by both teams. But the real treat here is: can you #SpotTheBusMap? Stay tuned for additional news and a couple of surprises! From all the members of Bus Map Project, we wish you always have a great bus ride! 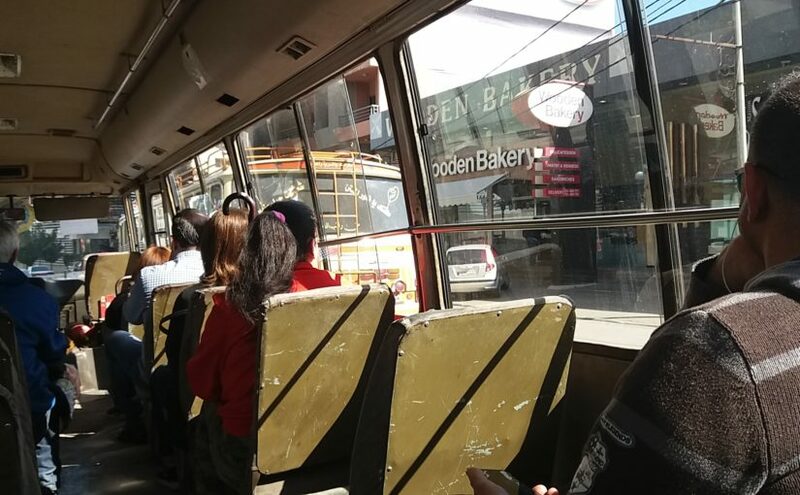 Posted on February 19, 2019 February 19, 2019 Author BMP TeamCategories UpdatesTags bus driver, Cola, Collective Map Action, Design, Grassroots Initiative, Map, Number 12, Number 2, Public Transport, Riders, SaidaLeave a comment on #SpotTheBusMap! 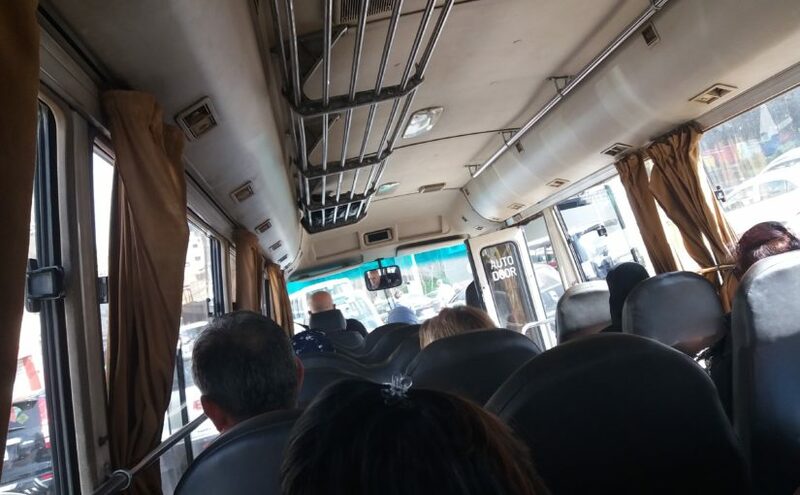 We are always happy to receive stories of riding the bus, particularly when they highlight the diversity of gendered experiences on Lebanon’s transit, as part of our occasional but still ongoing #HerBus series. And these stories are even more special when they intersect with our own! 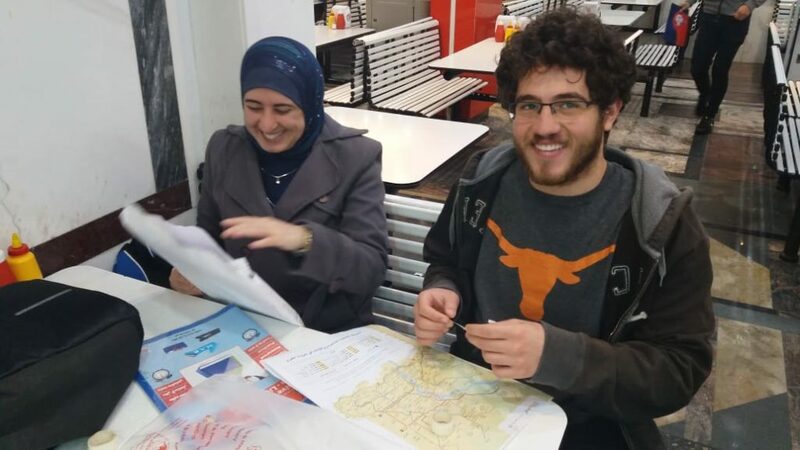 Youmna got in touch and told us how Bus Map Project co-founder Chadi Faraj’s app had a significant impact on her mobility in and around Beirut. Fun fact: googling how to get to Fanar by bus was the exact same way our team first got together! Being a Beiruty girl, who loves to go out, but is living outside of Beirut without a car, has never been easy. Needing a family member or a friend to drive me, or paying a minimum of $10 to go anywhere, drove me to buy a car in my early twenties; lack of parking spaces and nervousness while driving from Bshemoun to work in Hamra drove me to give my car away and miss out on most events in my late twenties. I created a car-less pattern that suited me: I go in the morning with dad go to work in Hamra; I stay after work in Hamra to feel alive, then make dad come and take me home. I was once asked by a foreign friend while nagging about my problem why I didn’t take public transport? And at that time, I remember feeling ashamed while saying to him that we don’t have any. The pattern I created went great until my dad needed to travel for two weeks and I left my job and needed a more economical method to go to Fanar to conduct a study, so I started googling, and by coincidence, I found the Lebanon Buses app. Using the app, I learned how I could take the Number 15 from Corniche then jump into the Number 5. On the way back, I could take a service to Dawra and then the Number 2 to Hamra. After using the app, I paid 3000LL instead of 30,000LL per day, and I became curious about how I could use more buses. When I shared the app and map with my friends, half of them said: “you wish!” And I was so pleased to tell them that the app is correct; that the buses do exist and the map simply tracked them down. With every bus ride, there is a story. They’re safer and funnier than taxies, so hopefully I will be sharing these stories with you as they come along. To what extent is it appropriate to formally map an informal system? 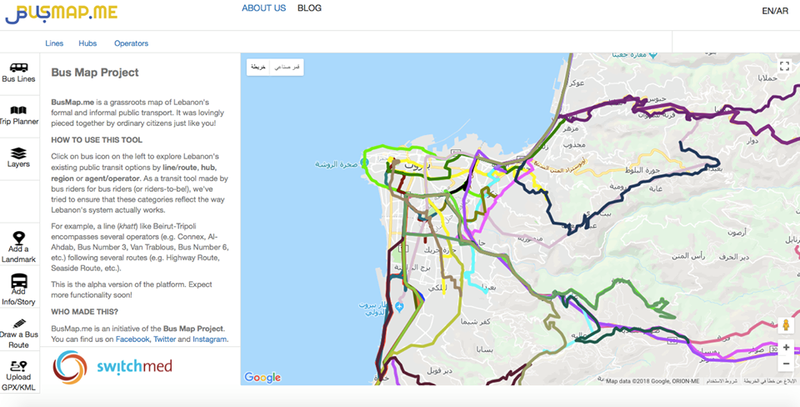 Can collective mapping help spark new ways of thinking about public transit in Lebanon? These are some of the questions raised by Bus Map Project’s participation in Beirut Design Week this year, when we launched our second prototype bus map of Greater Beirut and the alpha version of our online transit platform BusMap.me, a participative tool that seeks to crowdsource, clarify and spread information about the people, places, voices and traces of Lebanon’s transit system. Will you join us on board? 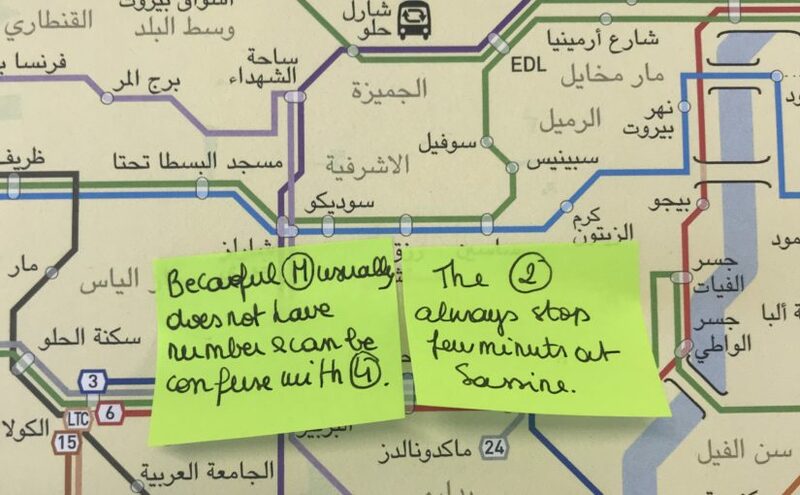 Beyond the brute fact of mapping, Bus Map Project has always been driven by a desire to disrupt the traditional talking-points around public transport in Lebanon. Our project is patient and incremental because it insists on a fresh perspective on urban change. By making visible the range and regularities of our ubiquitous yet little-understood transit system, our map is trying to prove a point; it is advocacy by other means. And what it demands is that we start taking this transit system more seriously. Yet, in doing so, the bus map tends to hog the spotlight as an artifact — a solid, already-accomplished matter of fact — pushing these motivating questions into the background, like any utilitarian tool eventually does. How, then, can we (re)turn the map, from an object of design, back to a matter of concern and a locus for civic action? How do we keep its point — its advocacy by other means — at the forefront? More importantly, how do we keep this traffic flowing both ways? From tool to platform and back again, how do we break the silos between expertise and experience (design and ridership) to widen the sense of shared ownership to encompass as many civic actors as possible? As part of Beirut Design Week, and in partnership with Public Works Studio through their Forum on Cities and Designers, Bus Map Project had the incredible opportunity to organize a workshop on June 23th, 2018, entitled “Slow-Hacking Beirut’s Bus Map.” The idea of “Slow-Hacking” — coined at first in jest by Public Works’ Monica Basbous — came out of our concern for making sure that this map that we’ve been lovingly piecing together, route-by-route, for a while, remains an open question: open to change in itself, and open by catalyzing debate over the cities we live in and reproduce every day. The word is meant to appropriate the can-do attitude of hackathons — that helpful sense of agency and confidence that we want to see more of in urban advocacy in Lebanon — while rejecting the less helpful sense of misguided urgency and false efficacy behind the fantasy of quick fixes. Over the course of three hours, we attempted to prefigure the slogan recently displayed on the state’s own buses (“shared transport is a shared responsibility”), while inviting participants into our process. Through an interactive presentation, we shared Bus Map Project’s view of mapping as a form of activism — the kind that not only pushes for recognition of the existing system of transport now marginalized within the dominant doxa, but that also stirs up conversations about the mobile inequalities that traverse it. We tried to keep our presentation anchored in ourselves, as riders and advocates. We shared the context of our own meandering journeys into the project: Chadi’s early development work in 2008, Jad’s research and activism interests in 2010, Sergej’s work with Zawarib in 2012, and Mira’s journalistic introduction to our work in 2016 before joining as a researcher in 2017. From this personal and collective perspective, a lot has changed since the seed was first planted when someone once said that creating a bus map for Lebanon was one step too far (because a map would legitimize something ‘substandard’). 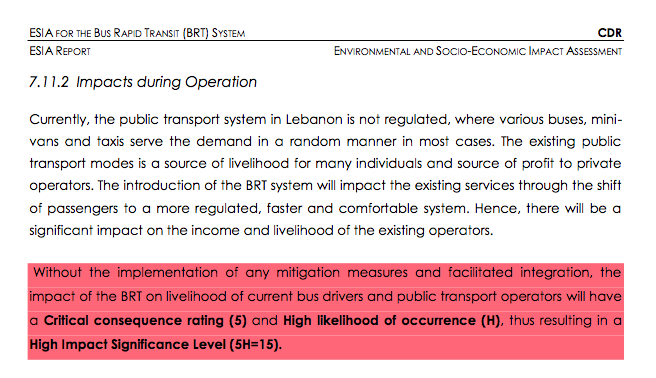 Today, very few people will argue that public transport doesn’t exist in Lebanon — the lacuna where it all began. From that point of view, much of our work is done; thank you for tagging along, and we hope that by foregrounding the ordinary ways that our personal stories became entangled in the politics of this often-mystified thing called the city, this small project can serve as a case study that inspires you and others to adopt similarly incremental approaches to seemingly intractable problems. From a wider perspective, however, our work has only just begun. And we need your help to keep moving forward. The workshop participants came from diverse backgrounds (architects, GIS specialists, urban planners, graphic designers, etc.) but shared overlapping interests. We opened the session by asking everyone to share their understandings of, and experiences with, Lebanon’s buses. Some came to the event with a lot of experience riding transit; others were curious and wanted to learn more. 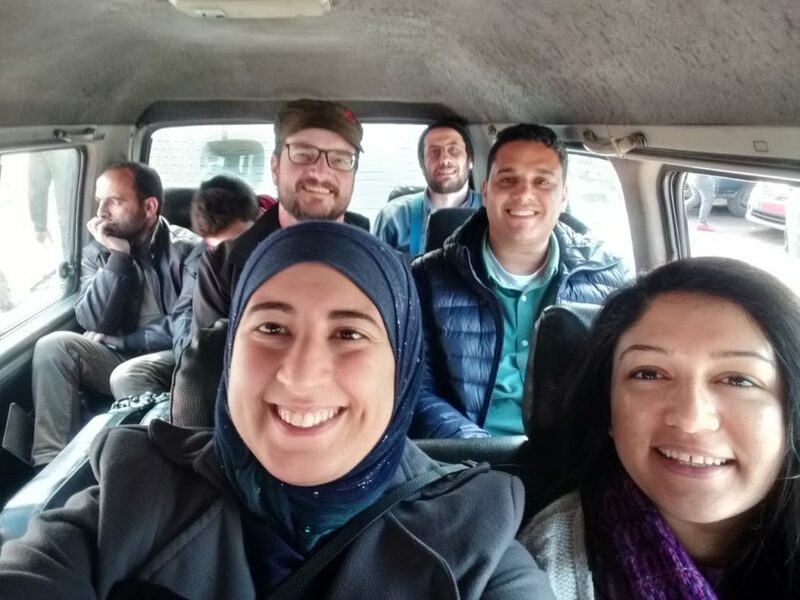 Some had initiatives of their own, like a WhatsApp group to share information with newcomers on how to get around Lebanon by public transport and a “mobility transformation” Meetup. This personal approach helped us keep the discussion rooted in the city as a lived experience, far from the technical abstractions that create artificial and disempowering distance between our reality as ordinary practitioners and the infrastructures we help reproduce every day. 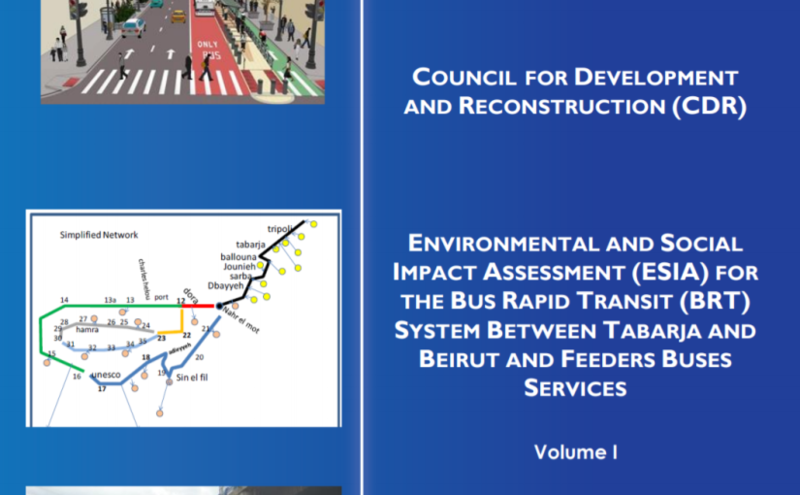 To emphasize this idea, our presentation of the basic features of Lebanon’s transit system turned the usual definition of public transport on its head: instead of starting at ‘the top,’ drawing conceptual contours and differentiating ‘para-‘ from ‘-transit’ proper, we privileged the concrete reality of riders first: their flesh-and-blood facticity, their cosmopolitan diversity, their eyes looking directly into yours, demanding recognition and ‘equal access’ to visibility. When we put things in this way, we swerve very close to romanticism. That’s fine. This is because the simple profundity of the person is the foundation of everything we do. From this understanding, we define public transport as first and foremost a transport public. 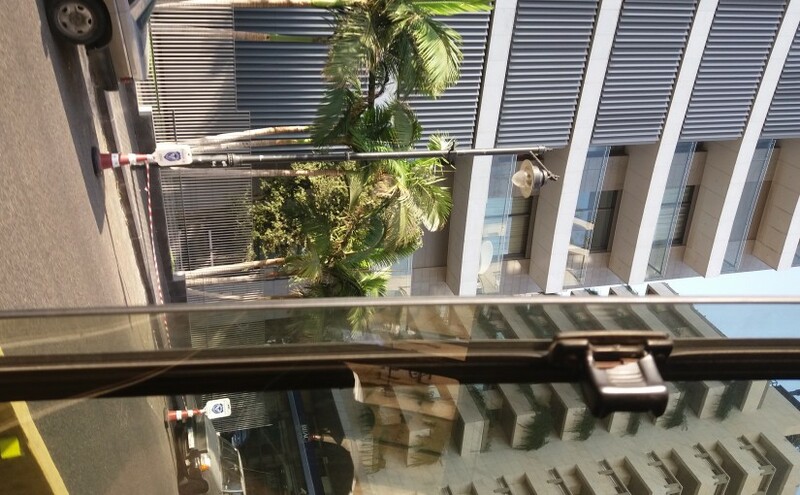 From that, we branch out and begin to notice the spaces of conviviality that connect user to operator, bus to system, street to map. On this foundation, we clarify our shared stakes in combatting misinformation and stigma (that perennial problem that we mustn’t underestimate) and keeping transit advocacy rooted in real lives and livelihoods. Only then do we dare to offer definitions. When our discussion turned to these concepts, a lot of debate was sparked, including a conversation on the controversial BRT system that we’ve blogged extensibly about. Hence, one consequence of taking the existing system seriously — people first, places second, conceptual categories last — is making the question of working with what exists (joud bel mawjoud) much more realistic and pressing. Why can’t we invest in existing people? After the presentation, everybody was invited to pitch in and make our map their own: What would they add? How would they represent informal landmarks? What changes would they propose to make the map more accessible? Many participants thought that the Number 5 and Number 2 bus were the same, when the two lines separate at Sassine heading north. Misapprehensions like this point to the importance of involving more and more people from ever-wider circles in this collective project; indeed, the majority of us agreed that collective and incremental design can be a powerful language and tool for encouraging a change of mentality needed to shift our society towards more sustainable and just mobilities. June 23 was Day 1 of hopefully many more in this new phase in our project, and we will continually look for more ways to involve as many people as possible in the making and hacking of our collective output. One tool we hope will facilitate this is our online participative platform (BusMap.me), launched during the workshop. It’s still in alpha development, but we’re so happy to finally make it public — a big thank you goes out to Chadi and our grassroots mappers for their hard work! 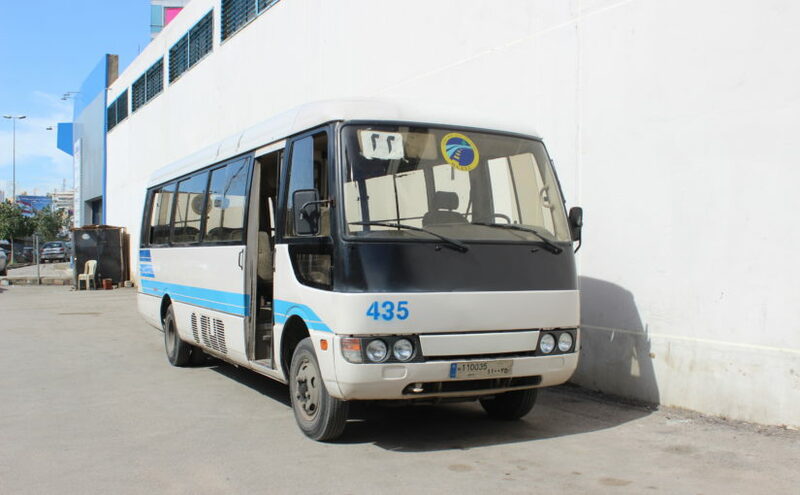 BusMap.me aims to become a hub for crowdsourcing GPS data and annotating Lebanon’s transit routes with photos, tips and stories — material that can’t fit into a single, static bus map, but which is pretty much the essence of mapping our word-of-mouth urban geography, Lebanese-style. The platform is imperfect and incomplete by design — and we mean it when we say that this is by design; we refuse to wear the crown of authority over this endeavor and proudly wave the banner of engaged amateurism in the city, with stubborn determination — because beyond mapping, the platform is meant to be an invitation for people to engage with shaping the system, contributing what they can to a collectively-owned map that celebrates the cacophony of voices that constitute Lebanon’s transit system. Think you can do better? Get in touch! 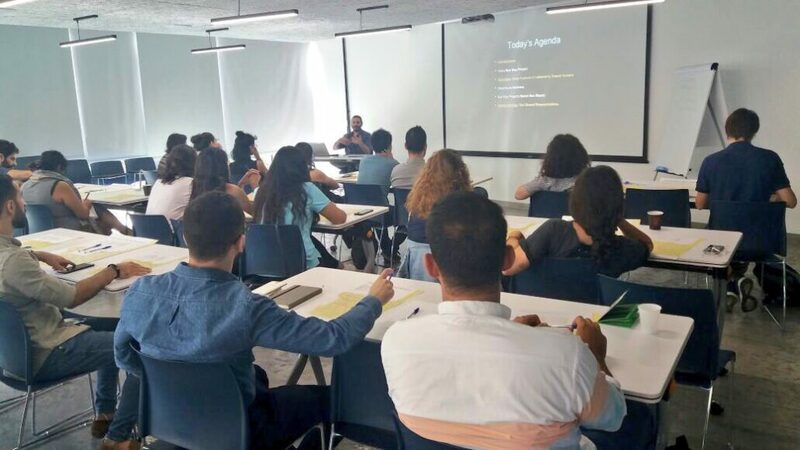 Our involvement in the Beirut Design Week continued on June 26th, 2018, when Sergej presented our work and his design process during a roundtable organized by Public Works entitled “Between City and Studio: Connecting the Map to the City”. Building on the previous participative workshop, he emphasized the activist role of the mapper and map designer. 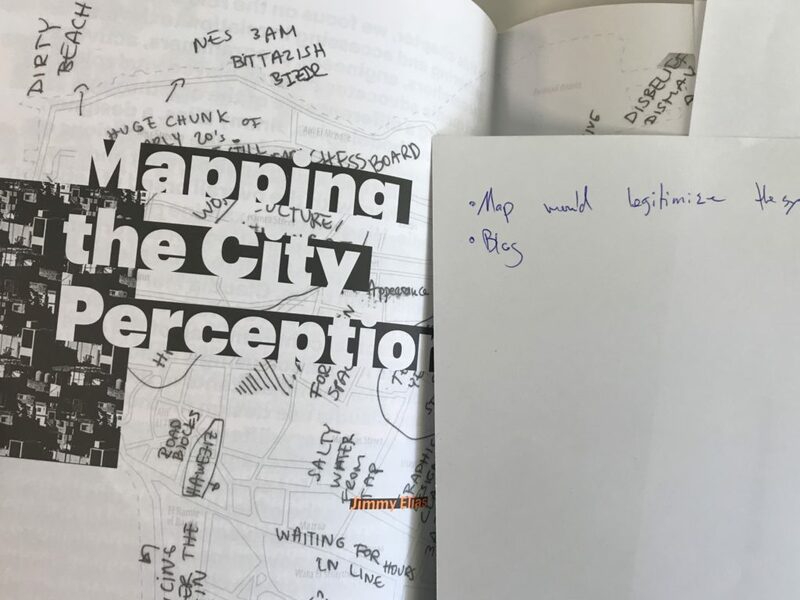 Every map is a collection of choices — deciding how and what to display influences the collective imageries and tropes that either challenge the established urban mythology, or, on the contrary, contribute to furthering the gap between urbanist discourse and lived reality. Mapping is and should remain an open question and we hope that more and more people recognize and join this political process that we are catalyzing. Later that week, some encouraging signs of this happening emerged! We had the pleasure of attending YallaBus’s first meet and greet, where they facilitated their own participative discussion to debate the mapping of Lebanese bus routes, and presented the first version of their transit app. Taking inspiration from our work and building on our second prototype, YallaBus has started working on their own static map; during the event, attendees also came up with new and exciting solutions to face the challenges of mapping and visualizing an informal system. We also took the opportunity to raise some questions about YallaBus’s release of the live GPS feed of Number 2 in Beirut. While we are excited to see progress in this live-tracking work, this beta release poses privacy and security concerns, since the location of buses (and, presumably, the homes of bus drivers) in the initial release was on display, potentially endangering the drivers. We are happy that YallaBus has been open to such feedback and look forward to seeing how their app develops. We are also enthusiastic to see more events and gatherings of this type happening in the future. Let us keep catalyzing the change we want to see! Proactively, pragmatically, sometime’s poetically — our cities are ours for the (re-)taking. 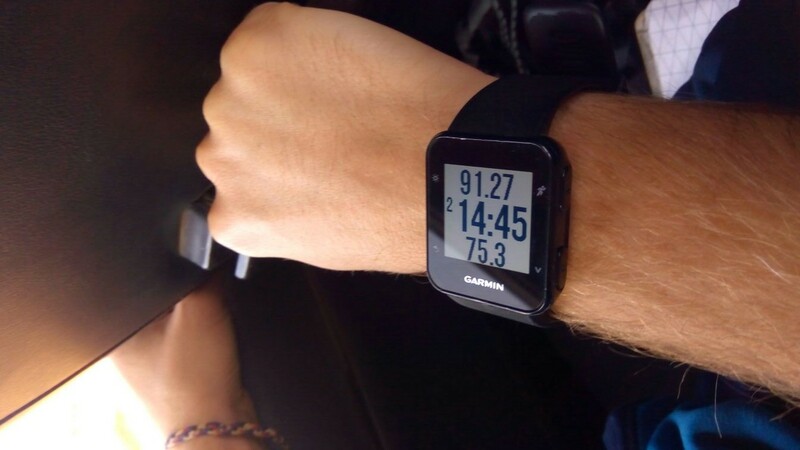 Informal Transport–a Pioneer of Mobility-as-a-Service? From April 23rd to 25th, Bus Map Project attended UITP’s MENA Transport Congress in Dubai as part of the regional Friedrich-Ebert-Stiftung civil society delegation. Walking around the expo and listening to discussions of futuristic machines and ambitious infrastructural plans left us feeling a bit disconnected from the lived realities and conditions of most people around the MENA region. And yet, we were very happy that, within this dizzying spectacle, the Transport Congress opened up a window to a world that we are very attached to and familiar with. As we briefly mentioned in a previous post, this year, and to our great enthusiasm, the UITP launched its first Informal Transport Working Group meeting, ever. As the inauguration of what is sure to be a very long discussion, this meeting featured much heated debate, from which we draw some preliminary conclusions: for the most part, the debate around informality in our region is framed within a push for more formality, such that the desire to better understand the informal is almost indistinguishable from the desire to change or “formalize” it. While we welcome any acknowledgement of the realities of transit systems as they actually exist in our societies today, we believe that the stakes are too high to rush too quickly into a “blind” consensus on formalization. This debate, which left no disagreement untouched, including what to name these unregulated transit systems — informal? hybrid? paratransit? individually-operated? — was a crucial milestone that we are very honored to have contributed to in our small way. It is the beginning of a much-needed conversation in our region, after the informal has demanded a place at the table throughout the world –- and in this spirit, we ask, without presuming to know all the answers: to what extent is the formalization of these networks socially desirable, and to whom? Who is bound to benefit from it, and who is bound to lose? How can we ensure that the most vulnerable populations are not priced out or excluded in the process? And when will it be second nature to have the targets of our policies take part in our discussions from day one? In other words, the customer is presented as being generally dissatisfied unless public transport providers start coming up with something new. It’s safe to say that this idea also takes its inspiration from the ‘positive disruption’ that services like Uber and Careem are seen to be providing. These themes raise a few questions: is innovative infrastructure the solution to what’s at stake for MENA transit? Which customers and whose satisfaction are we talking about, exactly? Can we assume that we all have the same expectations? Can we achieve a socially-just happiness that would benefit all customers, when we are very likely to have diverging interests? And what are the implications of considering people who are mobile in our cities primarily as customers, in the first place? I. Pioneering for Customer Happiness: Innovative Infrastructure or Creative Ways of Thinking? “Customers are the core business of urban mobility.” The opening speech by Pere Calvet Tordera, president of UITP, set the tone for the next three days: a market-oriented vision of mobility that places the notion of customer happiness at the core of planning. To achieve this happiness, innovative projects in the MENA region were showcased throughout the Congress, including Dubai’s futuristic third metro line being built in preparation for Expo2020. It is projects like these that make us wonder what is motivating the push for transit innovation; to what extent do these impressive infrastructural developments meet the actual accessibility and mobility needs of the everyday practitioners of our MENA cities, and how much are their investments driven by a desire to increase a (global) city’s attractiveness, as a travel destination or as part of an international mega-event? The latter may (or may not) be fine in cities like Dubai, but what are cities like Cairo or Beirut supposed to learn from such projects? MENA cities facing multiple challenges have to make wise decisions about where and how to invest. In the end, building fancier and shinier infrastructure will not bring us closer to the sustainable future we want if this infrastructure does not leave some room for daily usage and affordability within its core calculations, making sure that the most vulnerable populations — who are the bread and butter of mass transit — are not driven out by the gold rush. If we’d rather not call this social justice, then at least let us consider it common sense: why build something that ends up limiting the ranks of your target consumer? Relying on the changing tastes of those with the most purchasing power is not wise policy for systems that are supposedly challenging the king of convenience, the personal car. True innovation requires new ways of thinking. II. Informal Transportation: a Precursor of Mobility as a Service? Another key concept deployed throughout the congress was Mobility-as-a-Service (MaaS). As a market-based vision of mobility, it has the advantage of focusing on the user-perspective, and in so doing, offering more flexible or “adequate” services to the general public. With the arrival of ride-hailing apps like Uber or Careem, some public authorities have scrambled to make love not war by opening up channels of communication and partnership that rethink their very role as transit regulators. This is because these services are increasingly being seen as complementary — or, at least, not inherently antagonistic — to the work of the authorities, particularly when it comes to meeting the “Last Mile Trip” often left out by traditional transit. The logic goes as follows: Fixed-route services like buses typically provide low cost services that move high volumes and are always shared, but they tend to be slower and not always in line with (car-accustomed) customer expectations. Hence, “demand-responsive services” like the new disruptors are increasingly understood as friends of formality. And yet, listening to MaaS being presented as a revolutionary concept sounded slightly odd to our ears. Indeed, the characteristics of these demand-responsive services are not that dissimilar to what characterizes informal transportation in our countries. 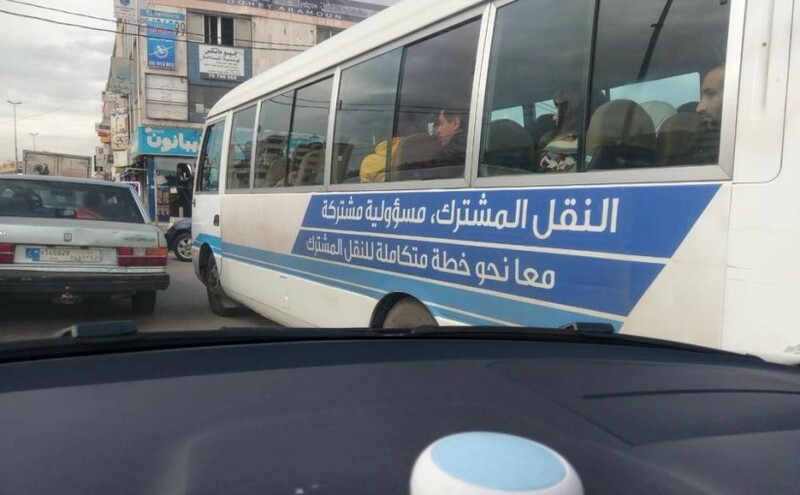 Isn’t a service-taxi in Beirut “demand-responsive”? And what about the “flexibility” of Van Number 4 or Bus Number 5, intelligently adapting to traffic conditions without a GPS or traffic management control center to guide them. Learning to recognize these parallels and seeing the value of these services as flexible, demand-driven and resilient not only opens our eyes to untapped assets in our cities; it also forces us to wonder why some forms of “entrepreneurship” and “creativity” are framed as such, while others are not. “But these informal services are not adequate!” we hear you scream. Yes, they do not meet all expectations, but just like informal transportation, MaaS is not a perfectly tailored, one-size-fits-all solution either — no, it drags with it an array of negative “externalities.” For one, MaaS services are not adequate for the customer who does not have a smart phone, let alone a credit card to load on their smart app. And, being market-based and demand-driven, they are more likely to leave out geographic areas that are not profitable, widening the economic and social gaps already striated by available (formal and informal) infrastructure. These issues will plague any unregulated service provision, but only some of these unruly operators are treated as worthy of reaching out to and bringing together, for the good of all. As the proverb goes (ناس بسمنة وناس بزيت), this is a very obvious ghee (samna) versus oil situation. It should also be noted that in many cities across the world, there is a huge debate around the dismal working conditions of ride-hailing app “employees” — and even this word is contested — coining a new expression to describe a huge aspect of this innovation: the “uberization of work.” This problem is somewhat similar to the poor living conditions of bus and van drivers who run informal routes, who often work off the clock and in too many cases, are exploited by route- or fleet-owners. These parallels are not perfectly isomorphic, but the similarities should open our eyes to the way our public authorities can overlook the negative externalities of some operators when they’re backed by venture capital, but will not extend support to operators who may more directly benefit from partnerships. In any case, formalization must contend with these inequalities if we are to take our first crucial steps towards more cohesive, integrated, sustainable and just mobilities in our cities. As we wrote above, the true milestone set by this year’s UITP MENA Transport Congress was how informality was ‘invited in’ as a matter of thoughtful concern. This happened through two sessions: one on “Mapping and Understanding Paratransit/Hybrid/Informal Transport in MENA cities” featuring our friends from Transport for Cairo (Egypt), Ma’an Nasel (Jordan) and WhereIsMyTransport (South Africa), whom we’ve known for a long time but first met in person last October. These initiatives are doing a lot to make informal transport more legible in their respective cities, with a big focus on “big data.” We then participated with them in the inaugural UITP Working Group on Informal Transportation meeting, which took place after the official end of the Congress. During the second session, there was a strong push from some friends in favor of dropping the term “informal” and replacing it with “paratransit,” as a less pejorative expression. While we welcome any language that shifts us away from stigmatizing views of informality, we do wonder if the “para-” in the neologism ends up re-inscribing the moral centrality of the formal in a different, though less aggressive way. Indeed, in countries like Lebanon or Turkey, where informal transportation accounts for 93.8% of transit, the word “paratransit” just sounds disingenuous. Para- to what, exactly? How can the majority sector be the marginal population? This is a healthy debate. That engineers are open to debating semantics is an ironic surprise for us, as we have heard some in similar positions dismiss civil society campaigns on the topic of the urban as “all talk.” So we can argue for and against each term, and have since submitted some feedback on the vision and aims of the Working Group upon the organizer’s request. Yet, we want to end this post by cutting to the chase. Do we want to cosmetically re-brand the informal sector, or do we dare strike at the root of this whole debate: that informality is only a problem needing a top-down fix if we insist that cities are purely managerial objects most perfectly understood by technocrats; that people who live and make a living in cities are merely prisoners among shadows, limited by their simple lives and only ever apprehending approximations of the urban systems that engulf them; that planners and regulators and engineers have the absolute and final say over what goes on in our cities; that their expertise shields them from the democratic requirements that all other social actors are expected to submit to in plural societies–persuading the public, working with others, accepting compromise and actually innovating (generating the new in the here and now), as opposed to copy-pasting boilerplate solutions proven to turn a profit elsewhere? We are putting things very provocatively on purpose and for a reason, because it’s time for civil society actors involved in urban innovation and advocacy to decide on the point of their initiatives: is it to simply lubricate the policy machine? Or is it to challenge it, influence it, and maybe even disrupt it? We are perfectly capable of being reasonable. We recognize that informal systems have dramatic shortcomings and externalities that need to be addressed, as pointed out by Kaan Yildizgoz, training director at UITP: problems such as the deterioration of networks, with routes emerging to pick up the most passengers, creating highly inefficient trips and poor working conditions of transit drivers, who are often under immense pressures from their higher-ups, etc. And yet, formalizing the system without challenging our assumptions about the role of the state and the planner and the engineer would be an even more destructive move. It is also very likely to fail, because informality stems from endogenous characteristics of the state itself, such as unfair legislation, lack of enforcement and high rates of unemployment. To solve these “externalities,” we must first put them at the center. They are rather the “internalities” at the root of the processes that generate our discomforts about service adequacy. Formalizing the informal must be inclusive and fair. This can only be done through a comprehensive framework of social and modal integration that is rights-based, not concessions-based, and led by a genuine desire to leverage the skills and expert knowledges of planners and engineers for the good of all. Let’s lead the transition. 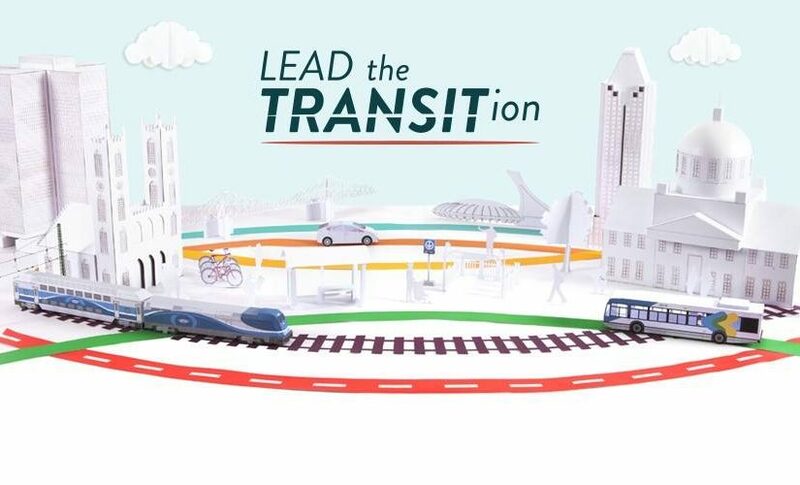 Banner image taken from UITP Facebook Page. All rights reserved. Posted on May 16, 2018 May 17, 2018 Author Mira TfailyCategories Updates, ViewsTags Informal Transport, Infrastructure, Lebanon, Local Governance, Public Transport, Riders, Social Justice, StigmaLeave a comment on Informal Transport–a Pioneer of Mobility-as-a-Service? فالالف التي قد لا تعنيك انها تساوي الكثير بالنسبة له لهذا قد نرى باصات ممتلئة وباصات بطيئة تلملم كل مار على الطريق تعتقده زبونا لها. في بعض خطوط الباص ترى السباق الذي يحصل بين باص و اخر من اجل الحصول على اكثر من الزبائن الممكنة فلذلك الامر لا يعنيك وانت تريد الوصول الى وجهتك . هناك بعض الخطوط وهي قليلة حيث يكون السائق نوع من الاجير اليومي فيعمل ويقبض لقاء عمله يوميا ما يكفي قوته وهو يكون مراقبا من قبل صاحب العمل في كل تفاصيل العمل من سرعته الى الركاب في مركبته الى التوقيت وما عليه الا بيع بطاقات اكثر ليحصل نهاريته مع الاستماع الى تعليمات المسؤول عن الخط. انه نظام شعبي غير رسمي ساهم في تحول النظام الرسمي الى نظام شبه شعبي في عمله وخصوصا بعد تجربة خطة النقل المشترك في ال ٩٨ فأصبح بعدها هذا النظام الرسمي لا يعتمد مواقف الباصات وفقد التوقيت الدقيق للنظام الرسمي فتحول الى نظام شعبي رسمي تديره الدولة. فالى اين نحن ذاهبون الى اي نظام او الى اي نظامين هذا السؤال يبقى للمستقبل ويبقى تحدي جديد للنظام الشعبي. On January 6th, we held our very first #BusCommunity event in Hamra and had a lively discussion with friends and peers from YallaBus, H2 Eco Design and others from our network of collaborators and supporters. Later that month, we did a mini-collective map action in Tripoli, to familiarize ourselves with the city and plan for more mapping in North Lebanon. This was followed by our first foray into informal ‘guided tours,’ introducing people to Tripoli by public transport. On February 5th, 12th and 13th, we presented our ongoing collaboration with H2 Eco Design at all three NDU campuses (Zouk, North, and Chouf) and received very good feedback from students and faculty. We were especially happy to hear a real commitment to public transport from the lecturer and FAAS coordinator at NDU Barsa, Dina Baroud! In between, we managed to find time to take part in Beirut Design Week’s Open House, — which we plan to follow up on in June! — and even do a few press interviews (Mayadeen and Al Araby). How to summarize the purpose of all of this buzz and activity? Cynics will argue that this campaign is an empty (and maybe even fiscally irresponsible) gesture that off-loads the state’s actual responsibilities towards the transport sector; while this may be true on some level, we welcome this shift in language, because it breaks the chains that people imagine to be essentially linking “public” to “state-owned,” and “private” to “corporate.” Shared transport is not just an odd Lebanese expression — it’s a potentially powerful concept that can undo a lot of false binaries and help us see the incremental changes already happening (that is, if we allow it to). In this same spirit, April was the month when a significant milestone for informal transport in the Middle East and North Africa was set. We had the pleasure to be invited by FES to take part in their MENA region’s civil society delegation and attend UITP’s MENA Transport Congress (April 23-25), where two sessions on informality took place, and a working group on informal transport was inaugurated for the first time in the organization’s history. Under the theme of Pioneering for Customer Happiness, the congress highlighted the concept of Mobility-as-a-Service (which is an idea that has strangely similar characteristics to our very own informal bostas and taxis, if seen in the proper light…), but above all, demonstrated the need for better acknowledging the way that informal transport can be a real partner in our shared responsibility to more fairly share our cities. We have a lot more to say about this, so for a detailed summary of the stakes and problematics emerging out of the push towards formalizing the informal, stay tuned for our next post!